t’s not news to anyone that sellers and logistics carriers have continued and will continue to stretch their roots into the expansive global marketplace, but there’s an opposite trend occurring too – the movement towards fulfillment and delivery within smaller defined regions. A historical marker in one of Seattle's downtown parks constantly reminds passersby that UPS got their start in 1907 as a local Seattle courier service. The UPS Press Room – History Timeline says they branched into retail around 1918 by delivering for local drug and grocery stores, and eventually added three of Seattle’s leading department stores as clients. So the “uberization” of hometown store-to-door and fresh products is not new, just re-envisioned. 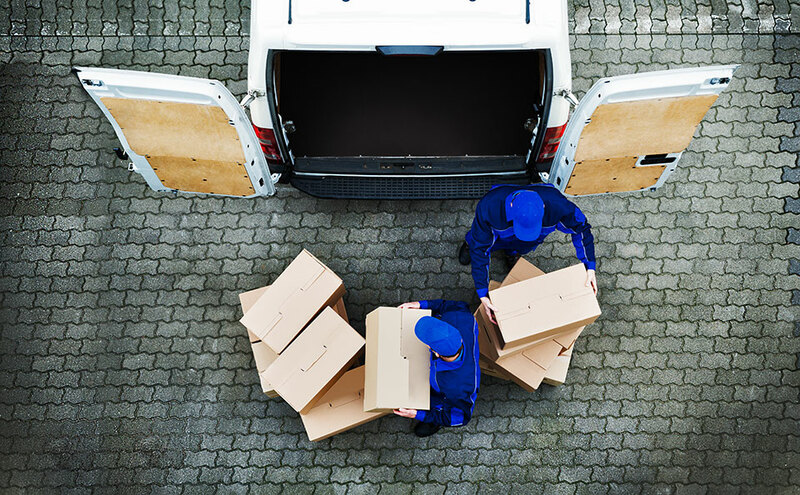 Independent carriers are more broadly utilized than ever before for delivering a range of products. This type of offering is becoming more popular with sellers, shippers, and consumers alike. (1). Not everything is available locally on demand so many consumers turn to online shopping sites like Amazon.com. Amazon is commonly attributed for setting high consumer expectations by offering free 2-day shipping, and even same day delivery in some areas. They are able to do this, in part, because they have strategically located fulfillment centers worldwide (2). Retailers restrained by a centralized operation realize a competitive disadvantage when they are only able to offer 5 to 7-day ground at no cost or are unable to offer free shipping at all. This is leading more retailers to open facilities near customer hotspots. Close proximity not only shortens delivery times, but lowers shipping costs by reducing the number of shipping zones that must be crossed. According to a "Parcelindustry.com article (3), 24% of all shipments are delivered within 500 miles of origin. Regional carriers operate in specific geographical areas and have larger fleets than local couriers or carriers, allowing them to cover more territory. Their sophisticated network allows them to provide fast delivery, often next day or same day, within the region they service, and typically hold an impressive on-time-delivery average - a 99% average is not uncommon to regional carriers(4). Many regional carriers are primarily ground and can provide flexible, extended pickup and delivery times, including weekends. The ability to order an item on Sunday and receive it Monday is an impressive service that can make a retailer differentiate their brand and earn favorable customer feedback. Another major benefit of utilizing regional carriers is cost savings. They can offer highly competitive rates because they have reduced dimensional weight divisors, lower overhead, consolidated zones, little or no area surcharges, and 1/30th the industry average of damage claims (5,4). Major national and international carriers will always be relied upon to do the “heavy lifting”. They have an incredibly complex infrastructure, the expertise required for worldwide movement, and specialty services like Hazardous Material shipping. However, E-commerce growth alone has increased parcel volumes by 48% and will continue to do so (6). In fact, parcel volumes are expected to swell by 17 to 28% annually between 2017 and 2021, according to a Parcel Index stat from Pitney Bowes (7). Manufacturers, retailers, and other industries that involve shipping, should consider seeking a multi-carrier shipping solution that supports both regional and national carriers for a full range of options. To hear expanded information about some of the points mentioned in this post, check out the ConnectShip | iShip REACH Series Webinar "Reducing Costs & Enhancing Service with Regional Carriers" featuring guest speaker Mark McGill from the regional carrier and reference the related articles below. (2)	Wikipedia.org "List of Amazon Locations"
Lissa is a Marketing Analyst. She has 15+ years of experience in technology related analysis work, with the last 5 years spent at ConnectShip| iShip. She enjoys the arts, watching documentaries, volunteering, spending time with friends and family, and movie/popcorn time with her rescue dog at her home near Seattle, WA.